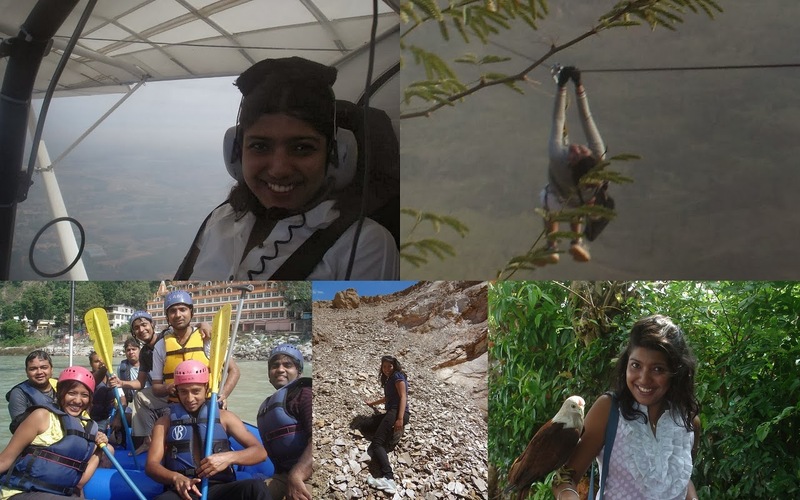 Greetings fellow travel enthusiasts, We've got an interesting interview for you with an avid solo traveler (Ankita Sinha) who luckily had the joy of experiencing India and other countries. Many of you may recognize her from her blog, www.AnkiOnTheMove.com . 1. What is your nickname (or one of them) and how do you get it? It's kind of crazy on how it got it. My nickname is Anki and being a prankster all the time in School and doing things without as such using my brains like a crazy gal on the run without a motto ,my dear friends started calling me cranki which meant Crackpot Anki and as I grew up, they became more mature and started calling me just Anki. I have similar pet names which are more derived from my original name and those are Anks, Kitu. But Anki is short and sweet and I love it that way. 2. Who or what inspires you to travel? The thrill of constant change of place and the inspiration to meet new people and know what makes all of us so similar yet so different along with challenging my own fears is what inspires me. 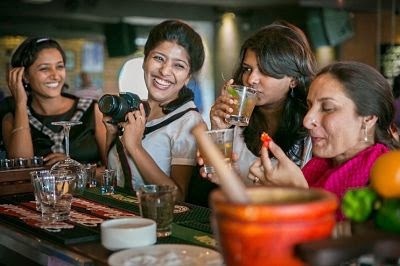 Also the idea of presenting my way of travel to the world through my blog which contains sweet sugary conversational write-up of my stories and how to do a place on your own, along with self-narrated videos and interviews of people who are not famous but have immensely contributed to the travel and adventure world gives me an immense satisfaction and that keeps me going. The comments, the likes, the followers inspire and are always inspired. 3. What's your travel mantra? "Life is beautiful when you look beyond the Obvious. So DREAM BIG.DISCOVER NEW.TRAVEL LIGHT"
Since my Dad is in Railways I have always been on the move since Childhood. Brought up everywhere and if you ask my first travel experience I wouldn't even remember. But one of the finest places I have liked in Childhood has been a trip to Vishakapatnam (Vizag). I instantly fell in love with the place, the clean air, the well maintained roads and the beaches were just stunning back then. As an when I grew up, I have had loads of experience and one such is All India Road Trip. My first solo trip was Singapore. 5. What are the top three things (or tools) you always pack? The top three things I always pack are camera to capture beautiful landscapes, Cell Phone to stay in touch with my near and dear ones and Sunscreen to protect my skin. 6. Where do you travel for adventure? Rishikesh any day. Cliché' as it may sound, Rishikesh is one of the best places in India for all weather adventure be it Bungy jumping or White water rafting or Cliff jumping or Trekking or Canyoning or something as simple as Camping. The hustle bustle and the sense of freedom in air is what makes it so different and hence my favorite. 7. Outside of the traveling and publishing Travel stories, what is your dream job? 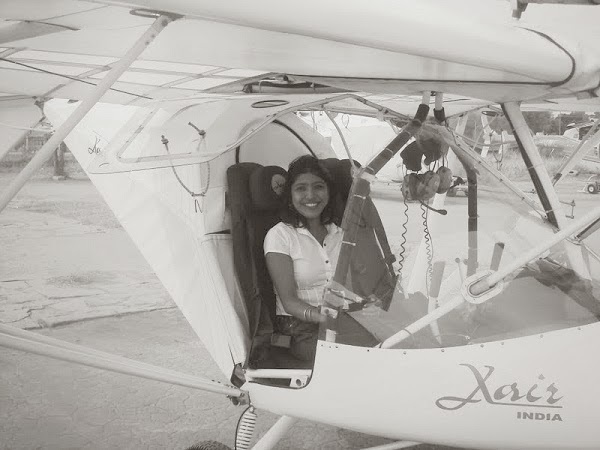 Outside of the travelling and publishing travel stories work for Skyriders which is into Skydiving in India. My dream job is to be travel host and explore the world or to land myself in a job which makes me travel like crazy to every part of the world or be in a profession based on location based research. I am yet to find the perfect job as the scenario in travel industry is evolving and the jobs as of now are mostly backend or very low paid. 8. What's the best and worst travel advices you've ever received? The best travel advice I have ever received is to travel with an open mind and travel slow. When we grudge of lack of comfort in our lives while travelling, we miss the fun part, we miss the chaos, and we miss the love of people. Also in today's world, we rush travel. Instead of enjoying the experience, we prepare a checklist and go by it. When travelling it is important to be at the moment and for the moment, it's almost like dressing up for an occasion and happily smiling through good and bad and travel not just for marking another place in your map or tweeting about it but getting back with loads of stories and memories of a place. The worst travel advice I have ever received umpteen numbers of times is for a women, it's unsafe to travel alone so take someone along with you. In India, it is a usual word of precaution given by mostly people you love most .Even though it is for our highest good, the statement builds up fear within. I have travelled to places where I would have rather be there alone than with people and isn't it more interesting to make new friends, meet new people than stay within limited quarters and build up a fear on what might happen next. 9. We know traveling can sometimes be painful, what's one of your most agonizing travel memories? I luckily have an inner gift to make fun of bad situations in life, and move on with good. However yes, with travel come bad experiences. One such was my train journey in Bihar where Nasty 5-6 Taporis boarded the train at around 12 midnight and started passing lewd comments and remarks, It was only after 3 hours of almost shouting at them to praying that they get down could sleep peacefully. Another is our Car breaking down in the night at the All India Road Trip. However, this disaster turned into adventure when we actually stayed with the locals. Just another was my trip to Auli were it was a Trip in the most cramped bus of 11 hours from Rishikesh to Joshimath. I felt like I was in box and if I could just walk all the way rather than pretending to be pleasant and happy. 10. I'm sure you have tons, but what's one of your most ecstatic travel moments? The most ecstatic travel moments was "All India Road Trip" which was one of the most memorable and most unforgettable. It was my brother and me in Dad's 13 year old Maruti, travelling all the way from Bangalore to Jammu via west coast and then from Jammu to back via central part of India. The change of terrain to food to people made it the best trip till date. One moment we were cherishing the broad roads of Mumbai-Pune expressway, another moment we were stuck in deep interior villages of Haryana by the midnight. An experience everyone should have, once in a lifetime. 11. What's the one place you always want to go back? Darjeeling is that one place I would love to go back again and again and probably would never get bored of it. The reason being, the people, they are the most genuine on earth. The place itself has a raw appeal, although every year whole bunch of Tourists travel to Darjeeling, sipping hot chocolate by the Keventers with the view of Kanchanjunga is magical. Something that not many places have to offer. Since whole of Darjeeling is walkable, I did enjoy my stay there the most and wished it was longer. May me I needed more than one trip. Sikkim and Goa are next top places I never get bored of! 12. Your top 3 accommodations you've ever stayed and why? One of the best resorts I have ever stayed is Flameback Lodges in Chikmagalur. The owner has done All India Biking expeditions, participates in Moto Rallies, Is a Wildlife enthusiast, Treks to the most undiscovered places near the area, has three friendly dogs and Is a very responsible traveler. When I was there, apart from the rooms in the middle of paddy fields, it was learning kayaking, playing with his dogs, waking up and trekking down unknown routes or walking down the coffee plantations,and the best Mangalorean food I have ever tasted was on platter everyday felt more like home with a friend learning something new. Would love to go back again and again. 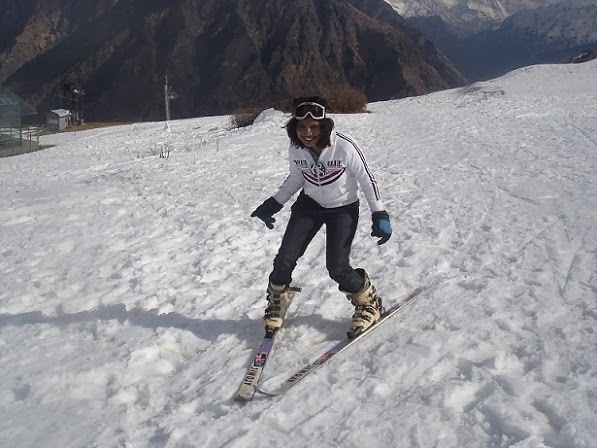 Another great place I have stayed was GVMN cottages in Auli, the yummy Alooparanthas served every day, with a feeling of being in a small cottage with snowfall in the morning up and around was almost Bollywood like. Just a few meters on top is a skiing area, and every day we would run to Ski. The third best would be our homestay in Lachenin Sikkim where I felt that even the simplest of Maggi was served with much love and every morning I would walk the way up with the beautiful lovely snow on the roads. 13. Tell us about one of your favorite meals you've had whilst travelling. One of the best meals I have ever had has to be Bengali food, especially their preparation of the Fish. Macher Paturi as it is called is Mustard Paste Marinated Fish Steamed in Banana Leaves and its very popular and equally yum. Another of my favorite is the paratha in Amritsar just outside the Golden Temple. 14. What is a great tip for our visitors to save money for their travels and live cheaply? a) Plan your to and fro early: With the pocket pinching air fares and lack of availability of reservations in train, it's important to figure out the to and fro at least 3 months prior to the place you would want to visit. That way you cut the to and fro cost to affordable and plan the rest. b) Skip the peak season: We all know every place during peak season is on a higher side. The trick is to choose a place which is doable during the non-peak season time. For example, Kashmir is beautiful in peak summers, but it is equally beautiful in Winters and early Spring. c) Stay in Youth Hostels / Homestays / Couchsurf / Camps: The best way to stay and meet like-minded travelers is in Youth Hostels. The best way to experience a local culture is through Homestays and Couchsurfing. The best way to move around a place, yet have a home is to be in camp. There are also many specialties lodging listed in Tripadvisor which is also one of the best ways of stay in a place. d) Use the local transport: Do not shy to take an auto or a local bus from one place to another. That way you would cut the taxi cost. e) Research and More Research: There are many ways to travel. You can also volunteer in some parts of the country like Lahaul and Spiti, Arunachaletc where in exchange of your work for a good cause with the locals, you are provided with food and stay. Since the internet is flooded with useful blogs and website suggesting first-hand experience of budget travel, it is also advisable to do your own research online or ask your peers and friends for suggestions. f) Sometimes packages are Cheap: While we all the time do our research on how do we do a place on our own, sometimes the regular group packages come cheap than if we plan on our plan. The best is to get in touch with the local travel agent of the area and keep the flexibility of a day or two where you need your own space. Also, travelling in groups cuts down the cost considerably.